While the rolling hills of Montana may be a more picturesque off-roading experience, Alabama boasts some of the country’s best off-roading trails that are accessible to all driving skill levels. Here are some tips on where to go off-roading in Alabama. Most trails in Alabama are given a rating of 1 to 5, with 1 indicating the easiest difficulty and 5 being the most difficult. In addition to driving skill, the courses with higher ranked difficulties typically require specialized vehicles and vehicle modifications to complete. 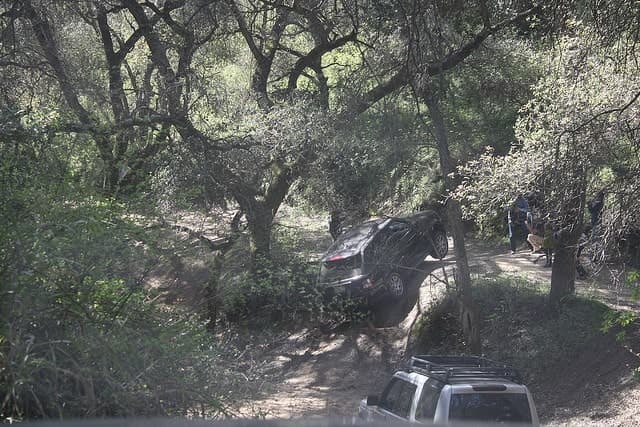 It’s recommended that only certified rock crawling vehicles or professional drivers attempt the harder courses, as park rangers or staff aren’t always available to help drivers remove their vehicles from thick mud or terrain. The most common off-roading trails are available in Alabama’s National Parks. On the official National Parks website, drivers can explore trails based on their “uses.” Using the search functions provided on the site, it’s easy to look through popular places like Flint Creek and Talladega National Forest for suitability for 4x4s, motocross bikes, and trucks year round. As weather and terrain conditions change, ratings at each of the park’s trails may change, so it’s important to check any trail before you go. If National Parks aren’t your style, many private land owners in Alabama open up their land for off-roading use. Boggs and Boulders, a campground and offroad park, allows drivers to rent space on their campground and take to the hills for the weekend. The 1,000 acre plot of land offers full camping facilities and year-round competitions for off-roading enthusiasts. Another popular destination, Morris Mountain, offers similar facilities to Boggs and Boulders, but charges $20 per vehicle per day, or a $30 all weekend pass. They too have year-round events for enthusiasts and also offer annual memberships. If you drive a loud vehicle, it’s important that you check for noise regulations at popular parks. Because many parks double as camping grounds, loud vehicles are often restricted after a certain time of night or are banned altogether. National Parks carry similar regulations and penalties for failing to follow the rules.